Buying an investment property has become synonymous with one of the most rewarding experiences in the real estate landscape. And why wouldn’t it? Investing in real estate is a great wealth-generating vehicle in the hands of someone that knows what they are doing, but I digress. Not everyone starts out as a professional real estate investor. No, it takes time to get to that point. Having said that, everyone starts at the same place: buying an investment property. As a new investor, it’s absolutely imperative that you learn the ins and outs out buying an investment property early and correctly. If you are considering buying an investment property, but are otherwise unsure of the best way to go about doing so, pay special considerations to the following advice. Broaden Your Education: It should go without saying, but the very first thing you should do before you even consider buying your first investment property is to educate yourself on, well, everything. It is true what they say: knowledge is power, and nowhere does that sentiment ring more true than in the world of real estate investing. I maintain that you mind due diligence and educate yourself on everything from the process to the area you intend to invest in. Delve deep into the logistics of your market and don’t stop. The more you know about an area, and a process, the better. Determine Your End-Game: I highly recommend holding off on buying an investment property until you know what your reason for investing is in the first place. If for nothing else, you need to know which direction you are heading before you set out on your journey. Is your ultimate goal to acquire buy and hold properties as a retirement vehicle? Do you want to flip rehabs for your entire career? Before you buy an investment property, determine your end-game. That way, you will be able to tell whether or not your next acquisition gets you one step closer to your ultimate goal. Determine Your Financial Goals: One of the first things you need to do before you buy an investment property is to gain some perspective on what it is you hope to accomplish financially. Are you looking to make a relatively small amount of money in a quick turnaround time? Or, are you looking to collect small, incremental paychecks over a prolonged period of time? Perhaps you are more keen on the idea of making a larger sum of money over a longer period of time. Whatever the case may be, identify your financial goals for buying an investment property; they may be the single greatest indicator for how to proceed. Line Up Financing: As a new investor, it can be quite easy to get ahead of yourself. Notably, far too many new investors try to find a deal before they line up financing — they couldn’t be more wrong. Instead of prioritizing finding a deal, I recommend lining up your financing. Whether that means working with a private money lender, hard money lender, traditional lender or a partner, be sure to know where your funding will come from before you even look at a deal. Not only will securing your financing notify you of how much money you have to work with, it’ll also allow you to act faster in the event a great deal comes across your table. Locate A Property: Obviously you need to find an investment property before you buy one, but the idea here is to locate a property in the location you want. If for nothing else, the location of a deal should be prioritized ahead of the property itself. Remember, the location is the one feature you can’t change, so it’s in your best interest to buy in an area that meets your needs. What’s more, the location will most likely set the tone for the rest of the deal. How much can you expect to spend? How much can you expect to make? Will you be renting the home out? When you are looking for a home, make sure the location checks off as many boxes as the actual house. Pick An Exit Strategy: Once you have found a subject property worth pursuing, pick an exit strategy. Will you wholesale it, rehab and flip it or rent it out? It is important that you identify an exit strategy before you buy the home. That way, you can run the numbers before making a commitment to decide whether or not a deal is worth following through on. Pick A Backup Exit Strategy: It is not enough to pick one exit strategy; you must have a backup plan. Any experienced investor will tell you that things don’t always go according to plan, so have a backup plan ready. Advice on buying an investment property can range dramatically. And while the above checklist may not cover every step to take before you buy a home, it consists of the most important steps you don’t want to ignore. New Investors that take this advice into consideration are bound to give themselves better odds at landing a good deal. The Neighborhood: As I already alluded to, the location is the one thing you can’t change about an investment property. What’s more, the same location you can’t change will play an important role in your asset’s performance. You need to make absolutely certain that the neighborhood you are buying in is conducive to your exit strategy. 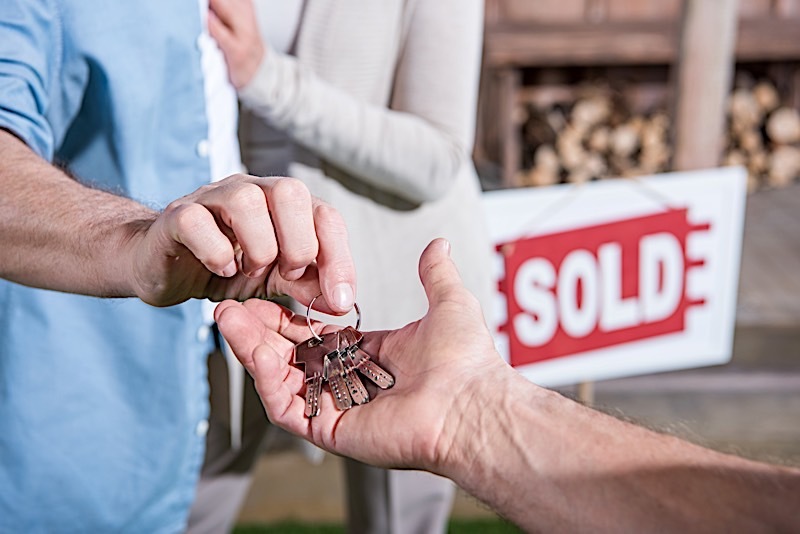 The Numbers: No less important than a home’s location are the “numbers.” The numbers, as real estate professionals tend to call them, are each and every indicator you should be paying close attention to. Just to name a few, new real estate investors should get to know the home’s selling price, its after repair value (ARV), the amount it will cost to rehab, the price of nearby comparables and a whole slew of others. The numbers are just that: the numbers that will ultimately decide if a dial is viable or not. Ultimately, you need to put in less than you get out of a deal. Simple, I know, but it bares stating. The Time: Time isn’t just money, it’s everything. New investors need to look at the amount of time an investment property will ask of them. If for nothing else, the faster you can get in and out of a deal, the better. Holding costs, for example, represent deductions from your bottomline everyday you hold onto a home — they are unnecessary expenses that compile the longer you take to flip a home. It is, therefore, in your best interest to get in and out as fast as possible. So when you consider buying a home, ask yourself how long it will take to do what you want to do. If you get in over your head and take too long, you could find yourself losing too much money to holding costs. The Risk: There isn’t an investment that exists that doesn’t have at least some exposure to risk. No matter what you invest in — the stock market, fine antiques, real estate — expect there to be risk. The amount of risk you are exposed to, however, can vary significantly depending on the property. There are some properties that carry a high amount of risk, and there are others that have, well, less risk. It is up to you to determine how much risk you are comfortable facing, and to make sure the property you are looking at meets your own criteria. Everyone knows the benefits associated with buying an investment property: the money. Tax Benefits: There are several tax benefits (particularly for buy and hold investors) that can dramatically lower your tax obligations come tax season. Rental property depreciation, for example, is a great way to save a great deal of money. Appreciation: With rental properties, not only can you reap the rewards that monthly cash flow provides, but you can also see appreciation down the road. It is worth noting that appreciation isn’t guaranteed, but it does tend to happen more often than not. Forced Savings: Thanks, in large part, to equity, buy and hold investors can benefit from a form of forced savings. Owning equity in a property is just as good as having money in a bank. Other People’s Money: Rental property owners know it, and it’s time you did, too: it is entirely possible to pay down your mortgage with other people’s money. Provided your property is cash flowing, there’s no reason those rent checks can’t simultaneously build equity and pay down a mortgage. A good rental property investment strategy can serve as the bread and butter for anyone’s portfolio. A great rental property investment strategy won’t simply formulate itself, however; you need to put the right pieces in place for things to take shape the way you want them to. Of course, you first need to find a property in a location that meets your needs. Also, you need to make sure the place you are looking at can rent for enough to cover the mortgage you will take on. In doing so, research comparables to determine an approximate rental price. Provided the numbers work out, you may have a viable candidate on your hands. Remember, the location needs to be desirable, as well. That way, it won’t be hard to fill the unit with cash flowing renters. In the event you do acquire a rental property, I highly recommend hiring a third party property management company. In doing so, you will free up your time by having someone else take care of the day to day tasks of running a rental property. Of course, it’ll cost you money (often a percentage of the rent coming in), but I can assure you it’s worth the added costs. Perhaps even more importantly, a property manager will allow you to add more rental properties to your portfolio without requiring any more of your time. As a result, you will be allowed to add more properties to your portfolio, each of which can help you build wealth passively. The method in which you finance an investment property will depend largely on what you intend to do with it. For example, those buying an investment property to flip should consider the benefits of working with private and hard money lenders. Both of these sources of capital will come with a high price tag (it’s not uncommon for private and hard moneylenders to ask for double digit interest rates), but I can assure you it is well worth it. Not only will working with a private or hard money lender net you the cash you need to buy a deal fast, it could be what gives you the first crack at an opportunity. On top of that, investors typically don’t borrow money for extended periods of time, so that double digit interest rate should only stick around for a few months. Buying an investment property with no money down is possible, but I prefer using other people’s money. To be clear, there are investors ready and waiting to lend you money to invest in real estate — all they ask is for interest on their generous offering. It is entirely possible to buy an investment property without using any of your own money. Private and hard money lenders, for example, are more than happy to lend you money if you bring them the right deal. And while it never hurts to have your own savings, you don’t need to invest any of your own money to get the ball rolling. Can You Buy An Investment Property With Equity? Yes, you can definitely use equity to buy an investment property. Using the equity in their homes, many investors have secured additional investment properties. Home Equity Lines of Credit (HELOCS), for example, allow homeowners to borrow against their own equity. That said, you must know what you are getting into. While you can buy an investment property with equity, the bank will use the same home as collateral if you happen to default on your payments. So before you even consider using equity to buy a home, understand everything you are getting into. While it can be a great move, it’s also a risky one. The benefits of buying an investment property are arguably better than any other investment vehicle. Buying a house as an investment property doesn’t need to be intimidating, but rather exciting. If done correctly, buying an investment property could be one of the best decisions you make.